Amy, you personally, and your staff, have been a literal life saver over the past few years, and I can’t tell you how much comfort it gives me to have him enrolled with AOS services. Going with AOS and having Amy Natt as our care manager in is the smartest arrangement I have made regarding my husband’s and my senior years. Amy has guided us and been with me during several medical emergencies. She knows how to operate the ins and outs of a hospital environment and is able to handle any problem. She also attends doctors’ appointments with us and keeps dots connected so nothing falls through the cracks, which is a great comfort. Care problems that arise in your daily home care are smoothly resolved. Recently her service was invaluable in navigating the problems of placing my husband in a nursing home. She knows the pros and cons and how to efficiently work through the maze of regulations and how to get things done. Truthfully ,I don’t know how I could navigate through the elderly years of my husband without the support of AOS and our care manager. Bette Davis once said, “Getting old is not for sissies,” and it is as true for the aging person as it is for their family. When my mom developed dementia, my family slowly became overwhelmed. At the advice of a friend, we contacted AOS, and we are so grateful that we chose Donna Brock as our Care Manager. Donna has been there for my mom and my family every step of the way. She possesses a perfect blend of compassion, humor, wisdom, and rock-solid competence, experience and professionalism that immediately convinced us that we were in the best of hands. She developed a wonderful rapport with my mom, and she has been our advocate, advisor, counselor, confidante and essential guide through this difficult journey. Through the many challenges of aging, she has allowed my mom and our family to walk this path with dignity and grace and has given us a peace of mind that is priceless. I needed to get my brother from New York City to North Carolina, and through AOS Care Management and Donna Brock, this process was accomplished very smoothly and efficiently. Donna arranged for a CNA to fly to LaGuardia and fly my brother back to RDU and then to a rehab facility in Pinehurst. The arrangements were made within a few days and carried out with precision. I could not have done this without Donna and AOS Care Management. I cannot say enough about the services provided by AOS, their caregivers and Donna Brock, our Care Manager. My mother lived alone in Southern Pines. My brother and I were long distances away, New Jersey and Colorado, and not able to respond as quickly needed when Mom’s health and cognition began to decline. We initially engaged AOS when my mother broke her hip several years ago. This was a temporary thing until her mobility returned. A couple of years later, I visited my mother and noted the condition of her house was becoming unhealthy. It was obvious to me she was not able to be in her house without some assistance. My first conversation with AOS was with Donna Brock. Donna handled her evaluation and worked with us on the initial two to three visits weekly. As time passed, the visits were gradually increased to daily for 6 hours each day. We had some ups and downs with caregivers but that settled down after a while. It would be remiss of me not to mention the caregivers, both of whom were most attentive and giving. They went beyond just doing their jobs. In fact, when I moved my mother to Colorado, a caregiver escorted her on the journey. Caregivers have been key in helping us get Mom’s house, etc. ready for the next phase of listing and selling. Donna was outstanding as a Care Manager and my mother’s friend. We had several frightening health scares and Donna was always there as my Mom’s advocate and protector. She was instrumental in our communication with the physicians and questioned their recommendations and prescriptions just as we would have done. I strongly feel my mother’s medical care would not have been at the level it was if Donna had not been as strong an advocate as she was. I attended your group session regarding Alzheimer’s patients. it was great information. It was a good session, and I learned some things. Thanks for your help! Your Speaker’s Guild presentation was excellent, and it gave us all a lot of vital information on preparing for aging in such a way that we can enjoy our “golden years” to the fullest. Jennifer Tyner has been an essential part of the care plan for my mother who suffers from dementia, for the past six years. Jennifer has been in charge of setting up and taking my mom to doctor appointments. She keeps me informed of appointment results. Jennifer has also purchased clothing and shoes for my mom. Jennifer is easily accessible by e-mail or telephone. Jennifer is professional yet caring when interacting with my mother or my family. I live out of state, and Jennifer stands in my place on many issues regarding my mother. I trust her care and judgment without question. I have been using Jennifer Tyner’s as a care manager in the care of my best friend. Jennifer has been nothing short of a godsend for at least 10 years. She has saved me untold hours on the phone and on the road, as I live out of state. Her expertise has seen me through my friend’s care since she could still live in her own home, to the present late stages of Alzhiemer’s. My friend is not always an easy person to get along with, and there were a few missteps in the beginning of her care as she rejected a few people completely. She, however, took to Jennifer and the caregivers she arranges for me very quickly. Even though she does not always recognize people anymore, she is comfortable with their care. Jennifer saw us through the sale of my friends house, to choosing a facility, to medical care and simple everyday needs. As I had promised my friend to keep her in her own home as long as possible and in the area where her social circle is, the decisions that have had to be made over the years would not have allowed me to keep my promise without Jennifer. She is warm, caring, articulate, experienced, and when necessary even clever and tough. There are not enough words to express my gratitude and good fortune I feel for knowing Jennifer. 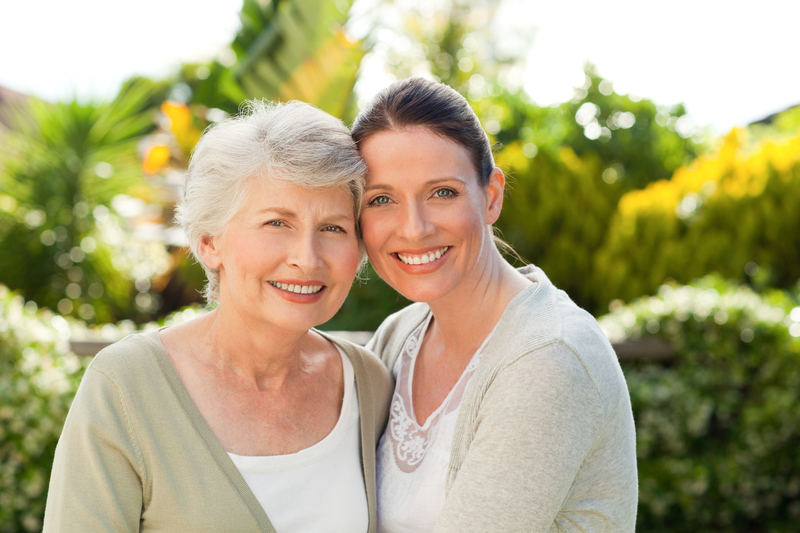 Your loved one would certainly be fortunate to have her overseeing their care. Jennifer is a tremendous asset to have at your side. I can’t imagine successfully having worked through the situation with my wife without her. She frequently comes up with ideas and suggestions for what seem intractable issues, and her positive personality helps greatly in the tough times. If something important happens outside normal hours, she regularly gets involved even when she is not the “on-call” person. Jennifer Tyner was the “calm to my storm” that was my life as I knew it. My mother was finally diagnosed with Alzheimer’s disease in January 2008 after several years of begging and pleading with her to speak with her primary care physician about her abnormal mental decline. I come from a very close-knit family, so after her diagnosis, I was hoping we would all unite together to assist mom as she progressed through the disease. Instead what happened was everyone bolted and ran as far away from my mother, her disease and me as possible. Without any family support, I soon realized I wouldn’t be able to provide the best care possible for my mother on my own without retiring from my job, which wasn’t even a remote possibility. Exhausted and distraught, I contacted Aging Outreach Services seeking any assistance I could find. What I was given the day I made that phone call was a heavenly gift in earthly form by the name of Jennifer Tyner. Jennifer became my mother’s Geriatric Care Manager and remained with us until my mother’s passing in July 2011. During this time Jennifer was the answer to my many prayers. After our first meeting together, she had excellent home care lined up for my mother within a week. I immediately felt a huge relief from many burdens as she slowly took the reins of caregiver responsibilities from me. I no longer had to be with my mother 24 hours a day. I didn’t have to keep up with medications, laundry, housekeeping and grocery shopping. The peace of mind this assistance provided me was priceless. Jennifer was now managing all this through many resources I never knew existed. Another way Jennifer helped was by attending any doctors’ appointments I wasn’t able to make. She acted as the family liaison in our absence at these appointments. Her knowledge and communication through every step of this process was top-notch. As a matter of fact, I came to prefer her to be at my mother’s appointments because of that knowledge and communication. She knew so much more about my mother’s disease and the medical world than I could ever know, and I knew mom would be much better off with Jennifer being there and not me. My mother became ill in early 2011 and had to be admitted to the hospital. Before my mother was released from the hospital Jennifer had hospice care already lined up for us. I would never have known mom even qualified for hospice services in her current stage of AD at that time had it not been for Jennifer. What a small but amazing example of all the ways Jennifer did help us. Jennifer did countless other helpful things along the way, but her ultimate gifts she provided were loving guidance, support, trust and peace of mind. She always treated my mother with the deepest respect and treated her as if she were one of her own family members. I honestly don’t know what I would have done without her or the support, care and friendship she provided my mom and me, and yes, even my family. My mom has passed away now, but I still keep in touch with Jennifer and several of my mother’s caregivers. They became my family when my family wasn’t what I needed them to be. I only have one younger brother and always wondered what it would have been like if I’d had sisters too. Now I know and am so thankful to God for the sacrifices they made to help my family out. I could never truly repay them for what they’ve done for us and for all they mean to me. Jennifer is and will always be a priceless treasure to me, so thank you, Aging Outreach Services, but most of all, thank you, Jennifer. Your worth is immeasurable! Many times during the last three years, my sister and I have said to each other, “What would we do without Jennifer Tyner?” The answer is always the same. We would be lost without her. My sister and I no longer live in Moore County. We needed to find a person we could rely on and trust to help us take care of our widowed mother. Jennifer has been there every step of the way with the three of us. She possesses good instincts, is warm, and very dependable. Our mother was still at home during Jennifer’s first year with us. We depended on her for everything from filling her weekly medicine boxes to making sure groceries were in the house. Jennifer carefully chose caregivers who matched our mother’s personality. Daily notes left by caregivers let us know how our mom’s day had gone and what housekeeping/activities had occurred. She continues to make appointments with doctors and acts on our behalf at each one. She promptly calls and updates us after the appointments. Two years ago our mother had to leave her home. Jennifer gave us valuable information and guidance on what to look for in an assisted living facility. We always value her opinion. She continues to see our mom at least once a week and more when the need arises. On more than one occasion, if Jennifer could not go immediately to the emergency room, she arranged for someone to go and be with our mom until we arrived. She consistently stays in contact with us and addresses any of our concerns or questions. She communicates with our assisted living facility as needed. Jennifer also helped us navigate through the mental health systems at Duke and UNC. These are just a few of the things she has done for us over the last three years. We feel very fortunate to have found Jennifer and Aging Outreach Services. We can’t imagine having traveled this road without Jennifer’s help and guidance. We think of her as a member of our family. She has given my sister and me peace of mind. More importantly, Jennifer has provided our mom with a reassuring and trusting presence. Jennifer has been a great resource for my mother and our entire family. My siblings and I are spread out throughout the country, and until recently, none of us were living in North Carolina. I called Aging Outreach Services when we became concerned about the challenges my mother was experiencing. Jennifer was very friendly and informative at the first meeting. She did a thorough on-site evaluation of my mother and then followed up with a detailed written evaluation and plan of how AOS could assist. Five years later, Jennifer continues to provide care for my mother. When mother was living alone in her house, our family slept better knowing she had Jennifer to check on her and to take her to her doctors’ appointments. Now that mother has moved to a senior care facility, we take comfort in knowing AOS is still available to take mother to her doctors’ appointments, confer with staff at the senior facility, manage her medication and to just be a good friend for lunch and conversation. Whenever I have friends who are struggling with the challenges of aging parents, I tell them about the wonderful experiences my mother and our family has had working with Jennifer and AOS. I was so pleased with how my dad looked and felt when we visited a few days before Christmas. He and his caregiver have a sweet relationship. I know one of our concerns was how dad would bond with new caregivers. So many positive strides have been made in his wellness and in the overall function and structure of the house as a unit. I am so pleased with where we are today and you and your staff get all the credit for that. Thank you from the bottom of my heart. We so appreciate the excellent care Dad received from AOS. You certainly gave our Stephen Ministry a great boost of energy last night. There were so many ideas you shared that are wide ranging for us, and we can employ many of the menu of things you explained. With an aging population, we have many instances when we are helping seniors. First, I would like to express our deepest gratitude to your caregivers, who were, to say the least, a godsend. It is very hard to put into words what they did for my family, not just for my Dad. Their compassion was extraordinary, their skill set was incredible and scheduling flexibility was remarkable. They were hard working, and most importantly, they was so kind and thoughtful to my Dad no matter what his mood was on any particular day. Their actions engendered a trust from all of us so that we felt comfortable to have them in our home and caring for Dad.